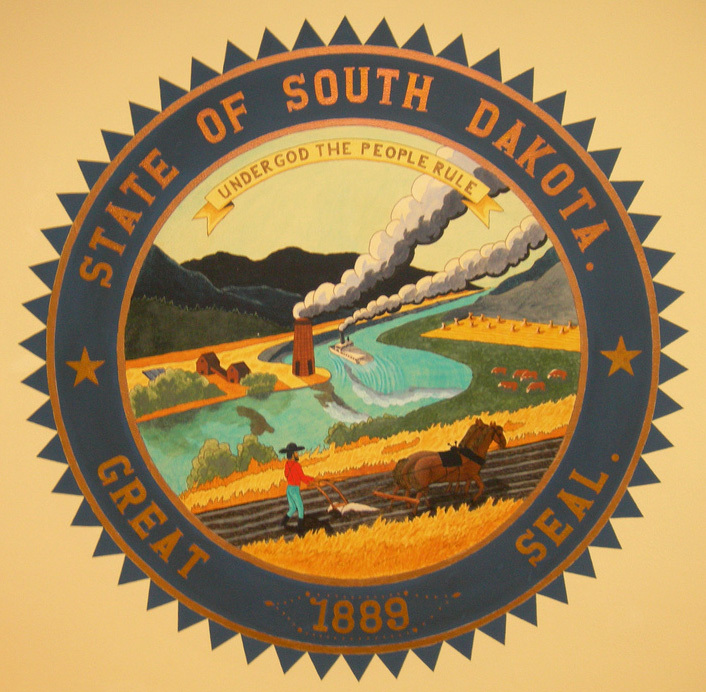 Great seal of South Dakota; public domain image on Wikipedia. 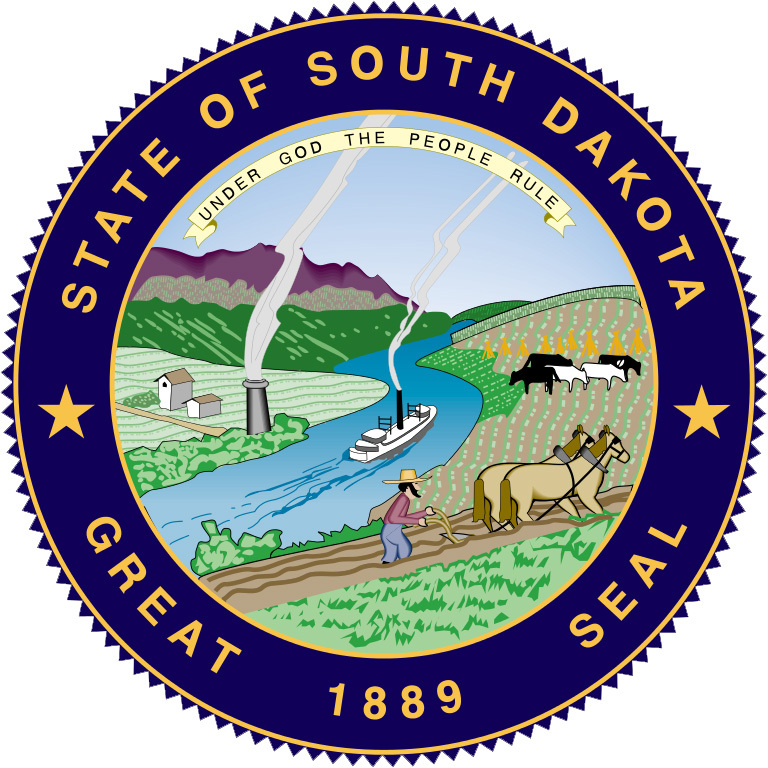 The outer circle of the seal bears the words "State of South Dakota," "Great Seal," and "1889," the year South Dakota became a state. The state seal also appears on South Dakota's state flag. "Under God the People Rule" (South Dakota's state motto) appears at the top of the inner circle, which has a background of sky and hills. In the foreground, a steam ship navigates a river running through agricultural and industrial land (the Missouri River runs through the center of the state north to south). Great seal painted on the ceiling at the entrance of the South Dakota State Capitol in Pierre; photo by Jimmy Emerson, DVM (jimmywayne) on Flickr (noncommercial use permitted with attribution / no derivative works). 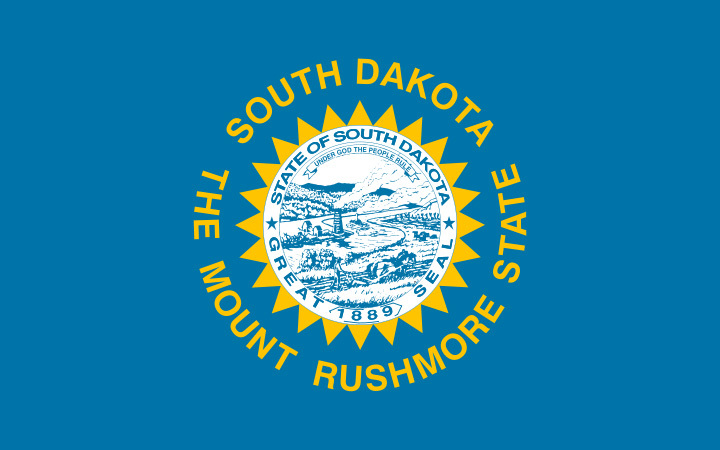 Flag of South Dakota features the state seal and state nickname (Mount Rushmore State); public domain image on Wikipedia.